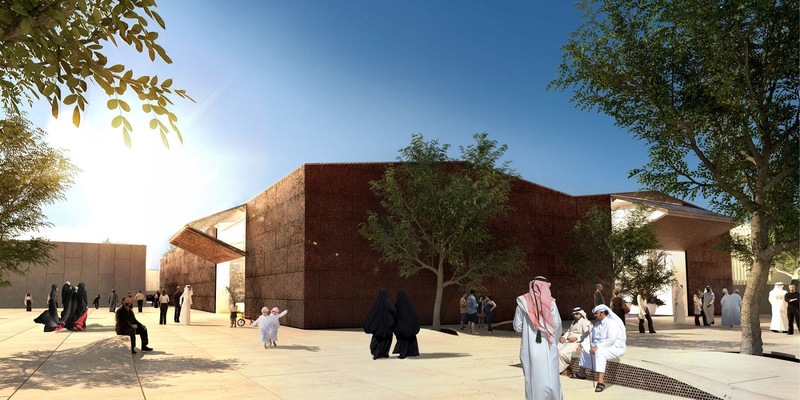 How to create an authentic contemporary arabian vernacular? 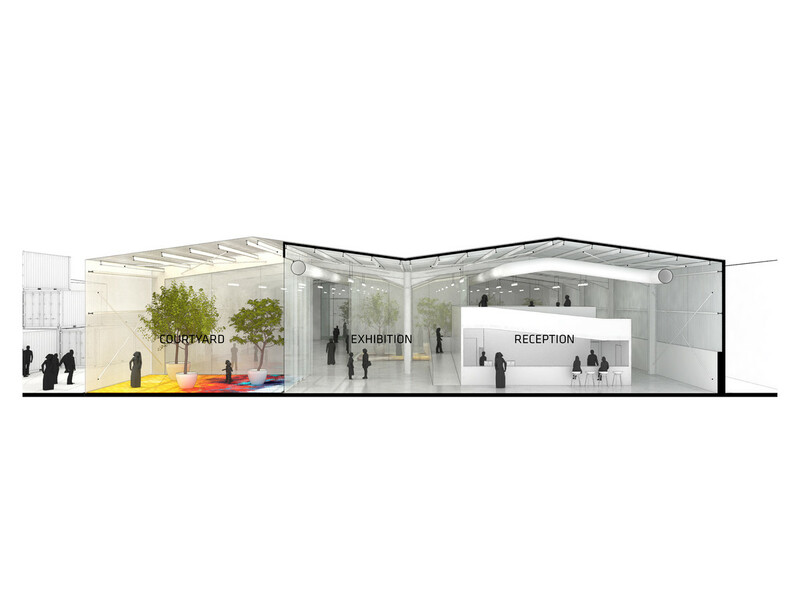 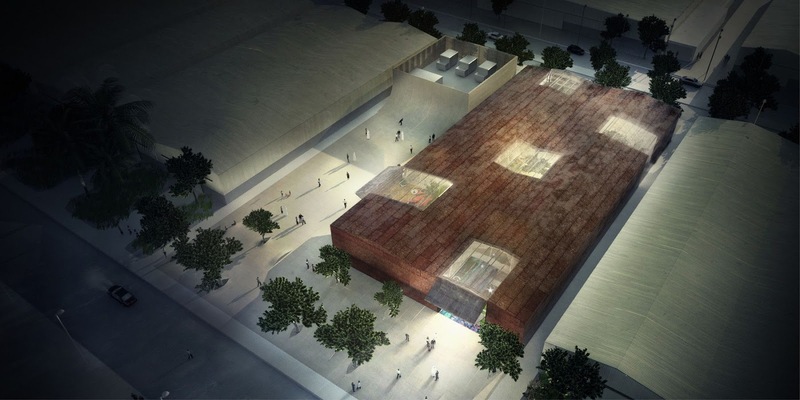 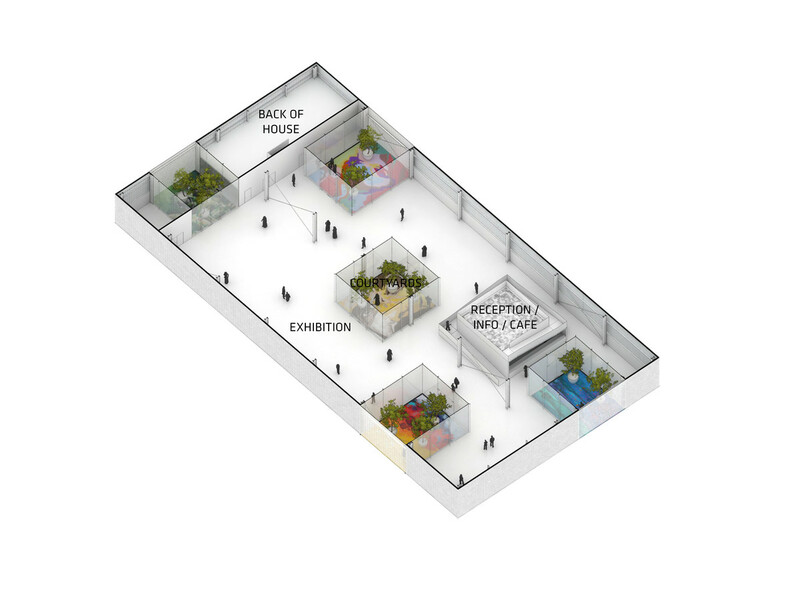 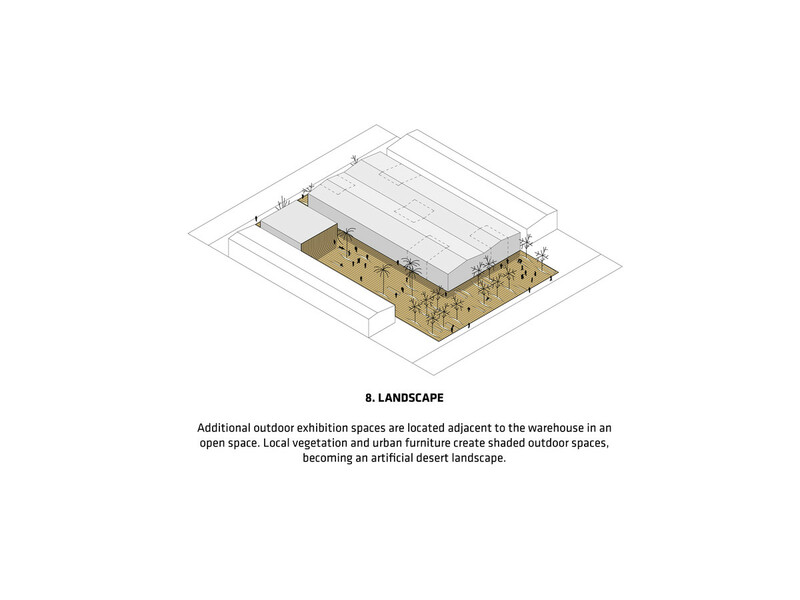 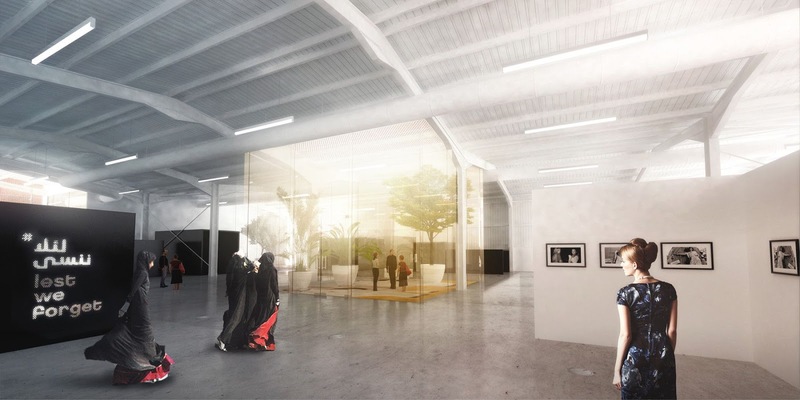 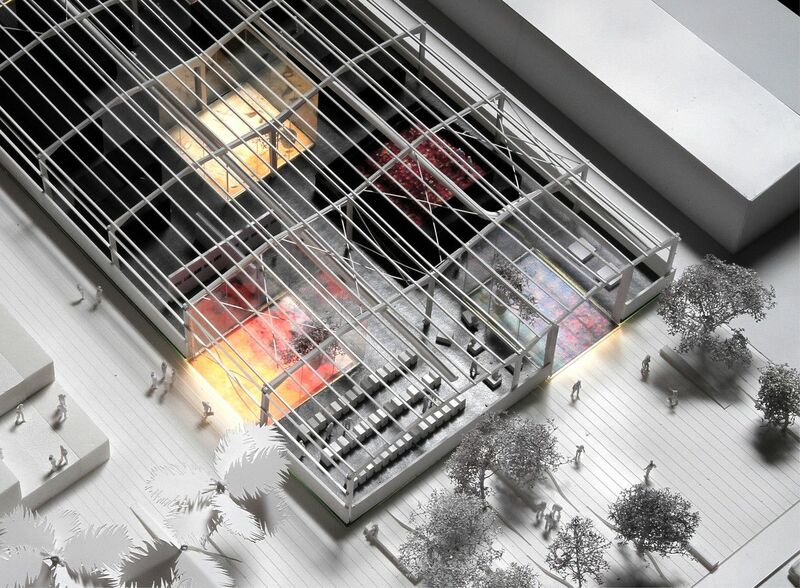 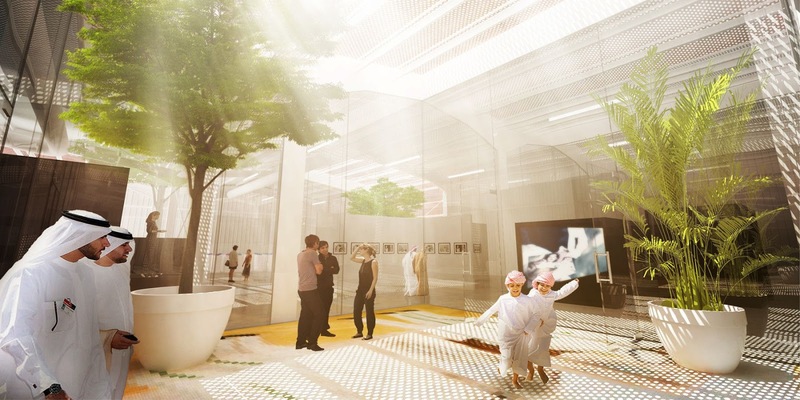 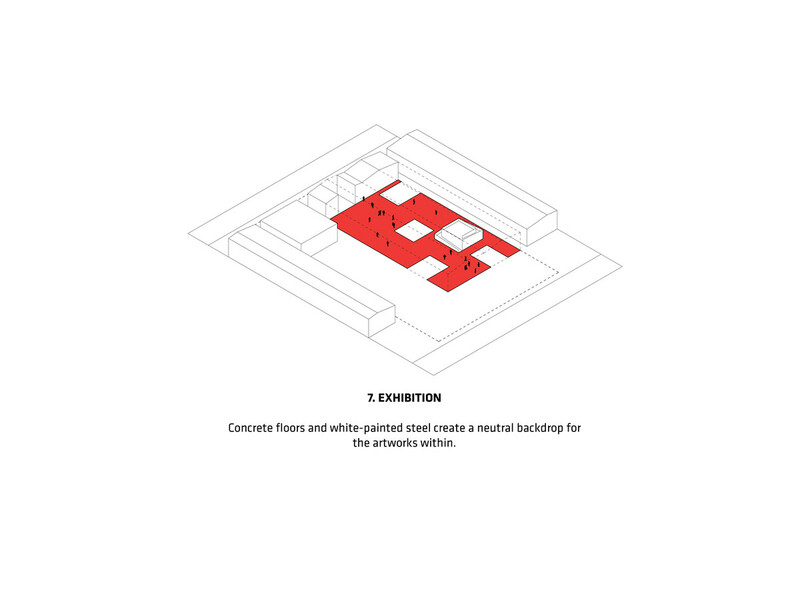 As part of the revitilization of the Abu Dhabi warehouse district, two conjoined twin-tin sheds are converted into art galleries. 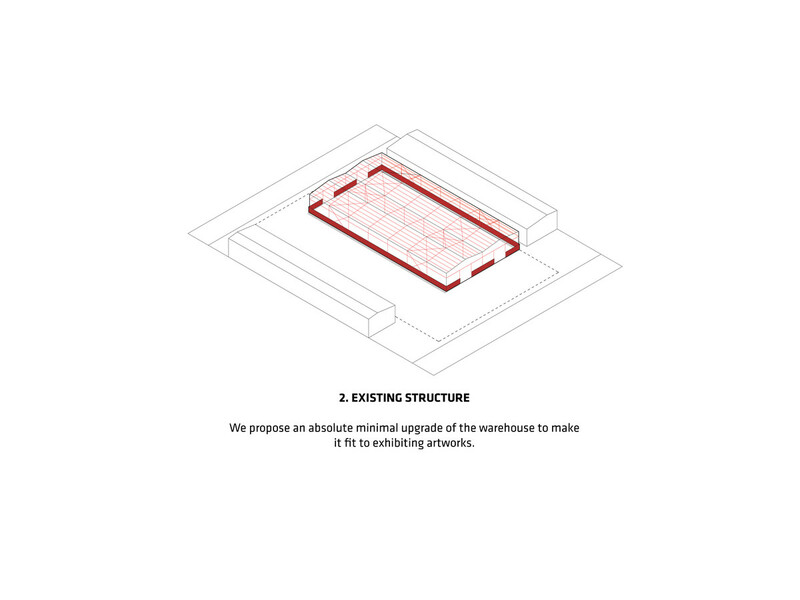 We apply the local vernacular principle of patios as room dividing elements. 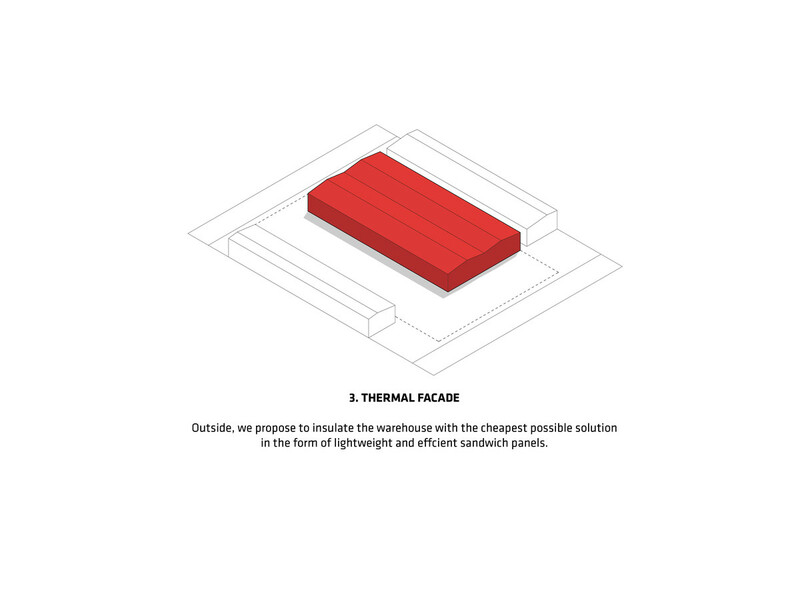 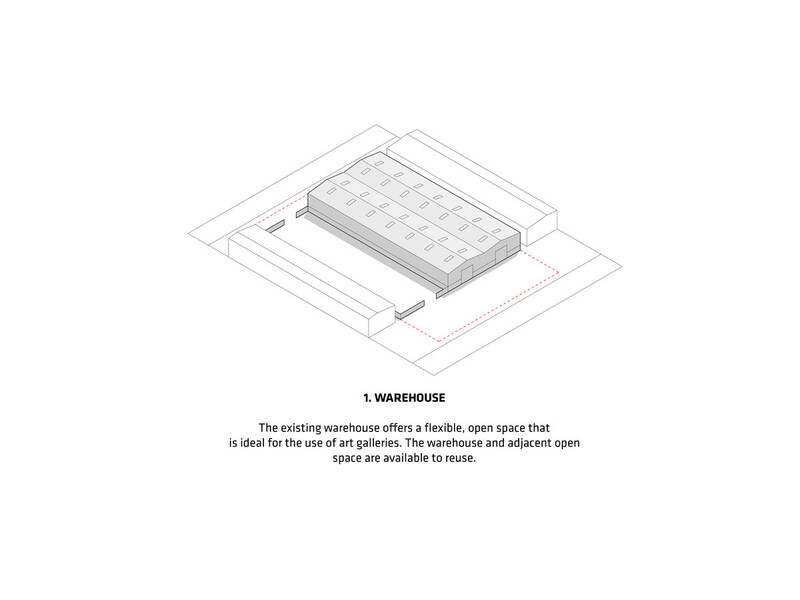 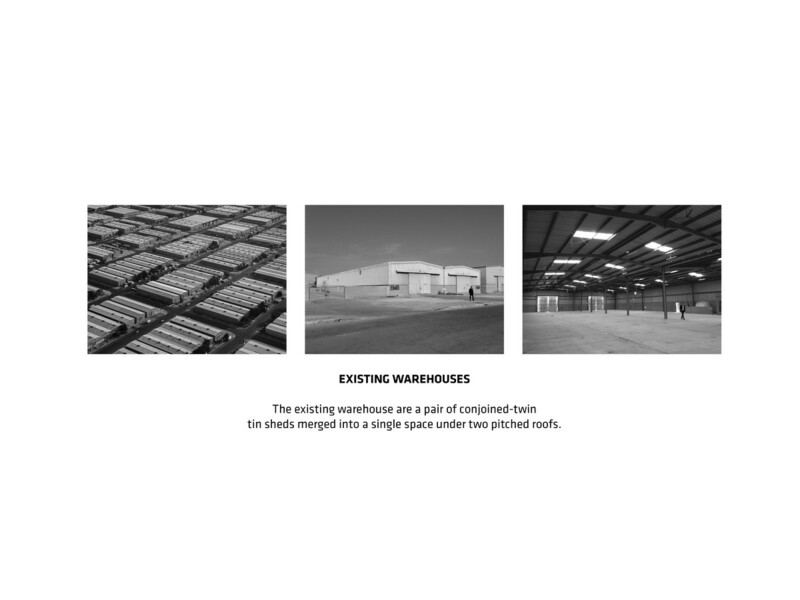 Outside the warehouse is insulated with the cheapest possible product and to protect the insulation with a perforated mesh of Cor-ten steel, echoing the rusting industrial sheds and hulls of the district. 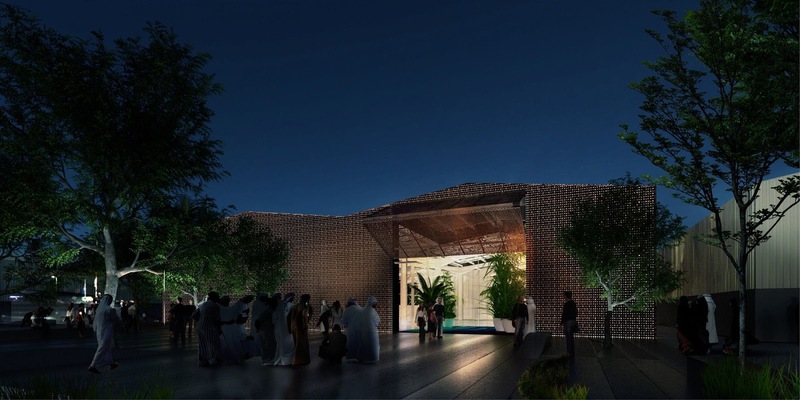 Hexagonal perforations resemble Arabian geometric patterns and allow for a varying degree of perforation. 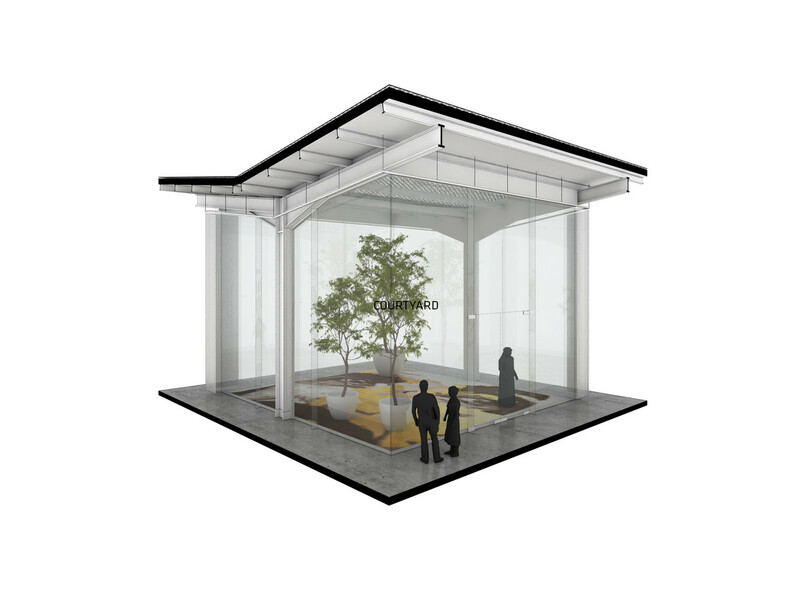 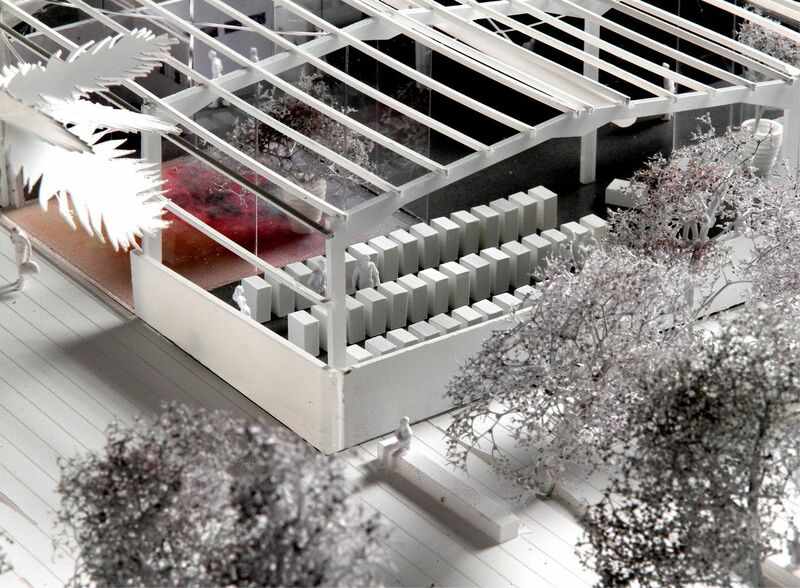 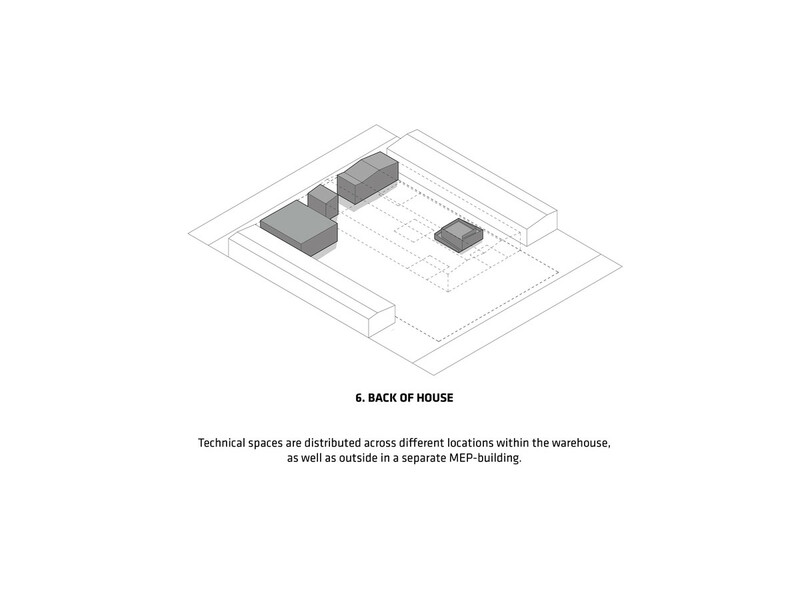 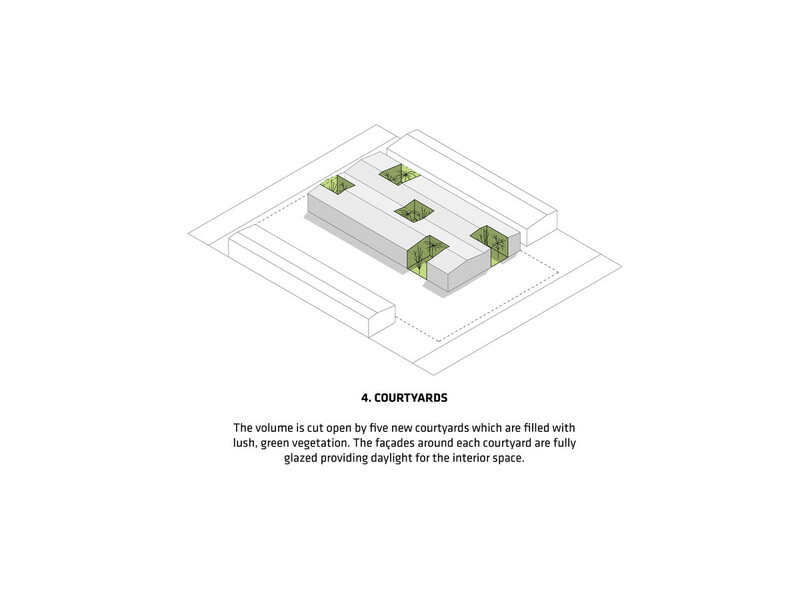 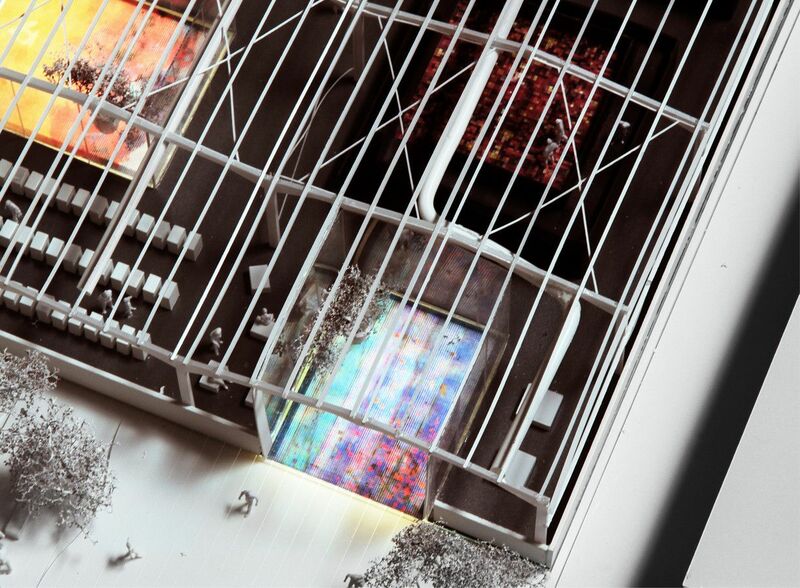 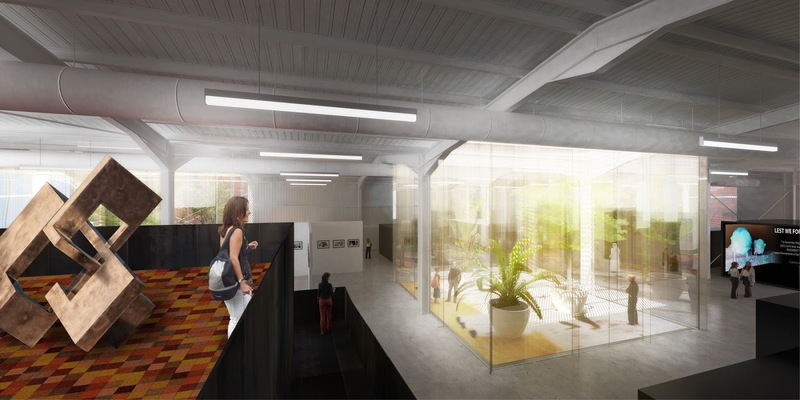 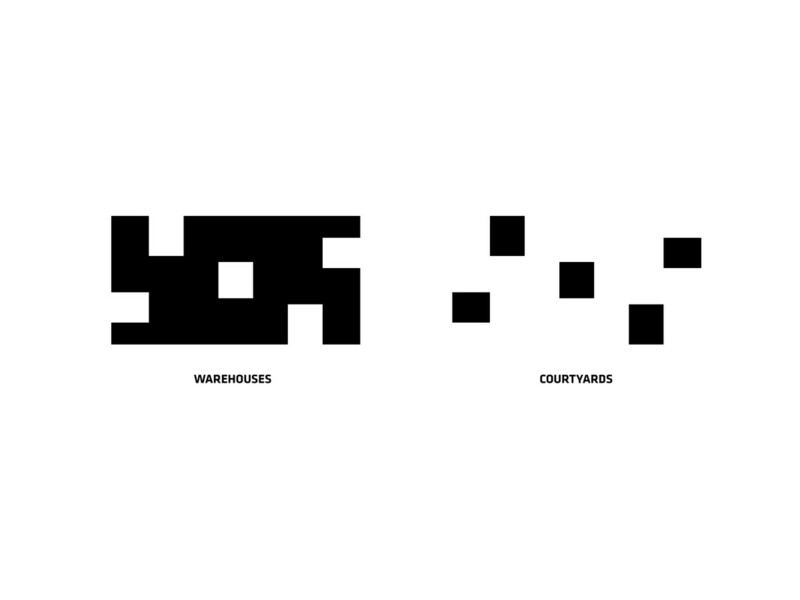 A series of courtyards punch through the roof and the façade bringing daylight, air, and outdoor sculpture gardens into the hermetic warehouse. 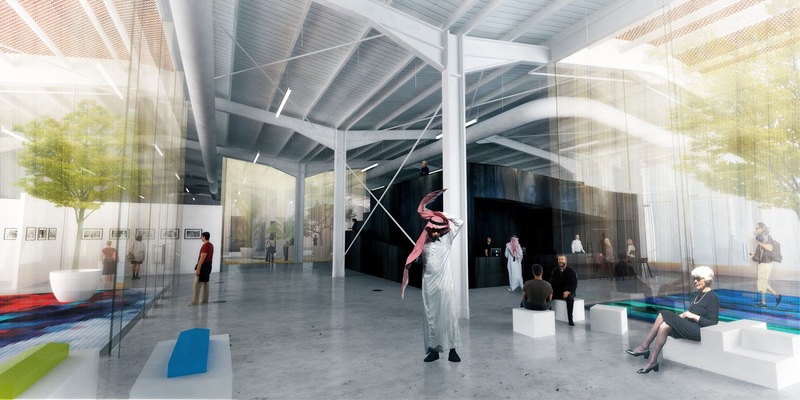 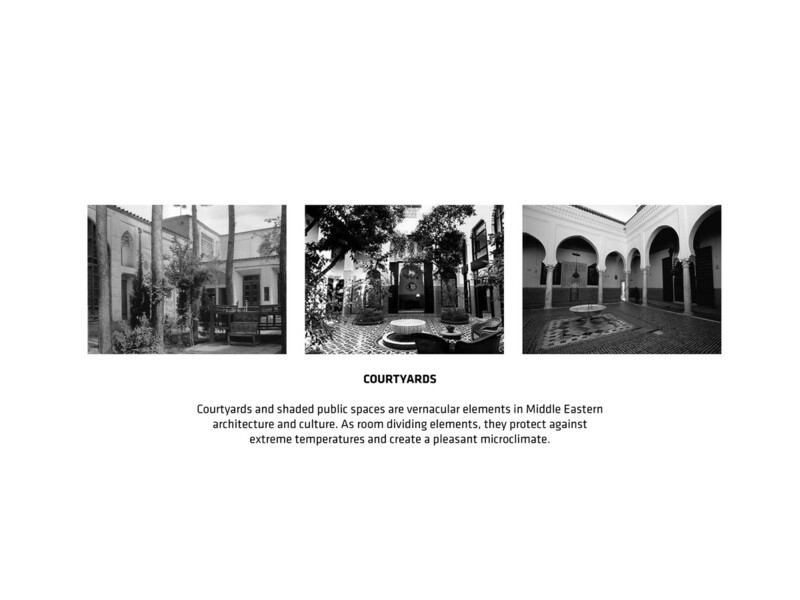 The final result is the unlikely hybrid of generic industrial modernism and traditional Arabian architecture, forming the first step in the recolonization of the postindustrial port site in becoming the birthplace of an authentic contemporary Arabian vernacular.